Congratulations to the Edward M. Kennedy Academy for Health Careers for winning the 2016 MassDEP Green Team Award! This week, students from 66 schools in Massachusetts received special recognition for outstanding environmental actions as members of the “Green Team,” a statewide environmental education program promoted by the Massachusetts Executive Office of Energy and Environmental Affairs and the Massachusetts Department of Environmental Protection (MassDEP). Students at the Edward M. Kennedy Academy for Health Careers (EMK), a Boston Public School in Mission Hill and Fenway, are exemplary leaders for environmental sustainability action in their school and in the BPS district. 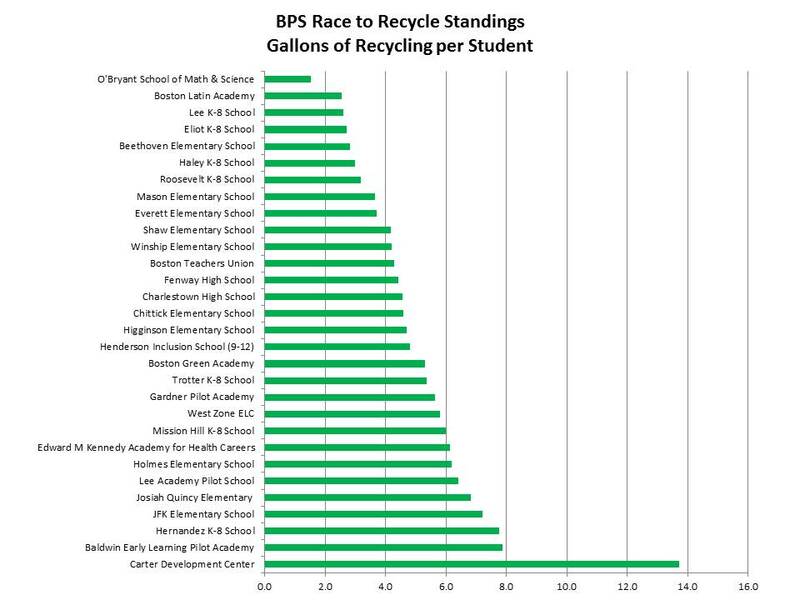 This latest award is only months after they earned the BPS Race to Recycle High School Rockstar Recycler in November. Congratulations to EMK students and staff for this honor! Learn more about the 2016 MassDEP Green Team awards here.